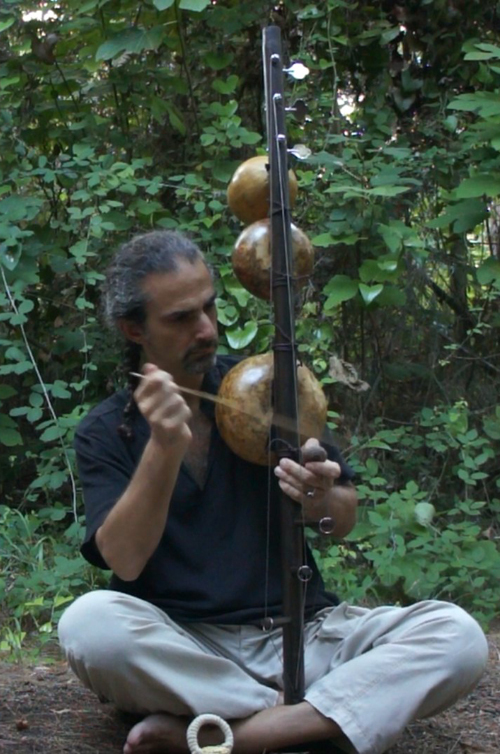 The idea to create the instrument which I called Axis came to my mind after playing the berimbau and appreciating its power to literally shake mind and heart. My first berimbau was a gift of my cousin who got it made for me by a maestro of Salvator de Bahia. I started playing it freely and soon got immediately deeply connected with it; I felt at ease with it as I had been playing it since many years. At the same time I started a research on the various typologies of musical bows across the world with a particular attention to the African ones. 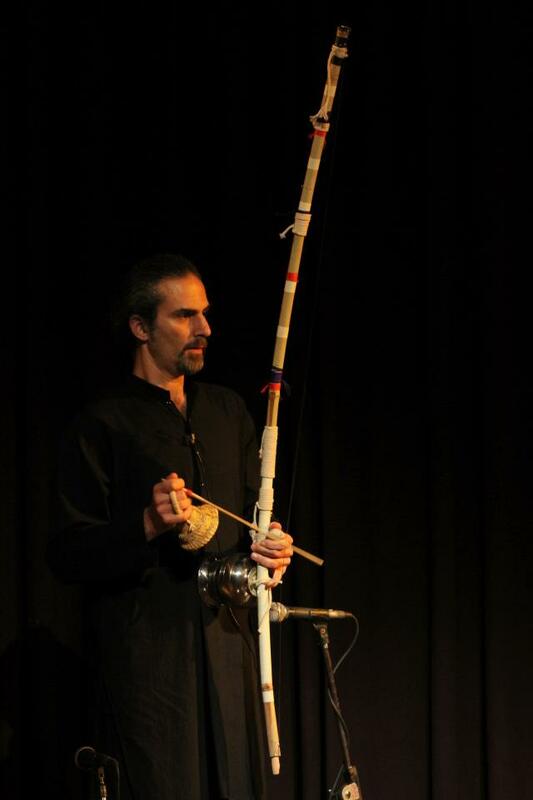 Then, in one of my recent trips to India where I had been invited to play frame drums for the performance Stringing (https://sutraartiperformative.com/stringing/) I decided to include berimbau too. Since I left mine at home, I had to try to make a new one with Indian materials, and I did it with a long bamboo as bow and a lotha bowl as resonator. After the experience of making and playing my new bass berimbau I started thinking that more string would have increased its magnetic power, thus I designed different prototypes of a multi-string instrument berimbau-like. To increase the number of strings I added various bridges and to emphasize different harmonics sounds I put two gourds resonators. I made it tunable through bass guitar pegs.